If Sir Tube Worm Eddington is clever enough, then he would be able to work out possible sources of energy in the universe. Building on the work of Spider Crab Newton, Fangtooth Maxwell and Viperfish Schrodinger, T.W. Eddington could reason as follows. Given the crush of gravity, the Earth cannot be too large or it could not be supported by atomic forces. Gravity will have moulded the Earth into a sphere, and there must be an upper surface to the water. The entire universe cannot be rock and water. The laws of thermodynamics and radiation imply that the Earth is cooling at a certain rate, radiating energy into space. This rate is too fast for hydrothermal vents to maintain a liquid ocean. There must be another energy source. Following A.S. Eddington’s argument above, our wormy friend could discover that an astronomical body in which the crush of gravity was countered by thermal pressure could ignite and sustain nuclear reactions, and so radiate copious amounts of energy for billions of years. Gravity could maintain a planet in a stable orbit around such a “star”. If, on the other hand, if T.W. Eddington’s predecessor’s had discovered that their universe’s gravity is a “one over radius cubed” (rather than squared) law that will not allow stable planetary orbits, or that nuclear ignition temperatures are too high for stable stars to form, then they could conclude that such an energy source will not be found shining on the ocean surface. The moral: if you know the laws of nature, at least in the relevant regimes, then you know what kinds of objects are stable, and thus what kinds of objects one might expect to find in the universe. This is not mere presumption or hubris – this is astrophysics. In fact, this is how many good astrophysicists textbook begin (e.g. Padmanabhan). Also, if you can see a couple a tens of billions of light years into the universe, and if the laws of nature that you have discovered are doing a sterling job of explaining your observations, then your inferences about what kinds of objects are possible and likely are on a firm footing. There is more to physics than raw observation. We have discovered mathematical laws, the kinds of simple laws that living things just don’t seem to follow. This does not reflect a failing on the part of biologists, but rather the complexity of biology. Faced with questions like “what kind of thing could emit energy?”, a physicist would not answer “well, let me go check my 2015 Illustrated Field Guide to Energy Emitters”. Wow…that’s the best you can do? That was easier than I thought….. If not wikipedia, then youtube? Do you think Feynman would disagree? I’m not saying that science can be done without observation. as is clear from where I placed my comment. Don’t change the subject. Again, there’s nothing there that Feynman would object to, because I’m not saying that science can dispense with observation. If *from observations* you’ve derived the relevant laws of nature, then there are conclusions that can be deduced. To think otherwise is to deny that we can do theoretical physics at all, something that Feynman would certainly disagree with. More on point – specific physical theories can be wrong. And what decides that is not the theory but the empirical facts. That was Feynman’s point. Theoretical physics could be wrong. How does that overturn anything I said in the post? My goodness, if you can’t see that the first comment I made was a classic case of claim vs counter-example I don’t know what else I can do! Perfect example of what Feyman was emphasizing. Primer: a counter-example DOES overturn a claim. 1. Wikipedia. Wikipedia without a citation. 2. It’s not a counter-example. My claim is a conditional. I use it as a modus ponens. A. If (we know the relevant laws) then (we can predict what kinds of physical systems are possible). B. We know the relevant laws of astrophysics. (We know this because they are well tested by observation). C. Thus, we can predict what kinds of astrophysical systems are possible. You use it as a modus tollens. B. We failed to predict that high-T semiconductors are possible. C. Thus, we don’t know all the relevant laws of semiconductors. Both deductions are valid. Both rely on observational data. Both would be perfectly fine by Feynman. Basically you know the laws…until tests or observations prove that they aren’t. Wrong. I used it as a counter-example. You evade this use by describing your claim as a conditional. My previous comment explains why your claim fails even as a conditional. So, eventually observations will prove that every conclusion drawn from the laws of nature as we know them are false? Is that what you’re claiming? Here’s an example of a conditional: if a sentence starts with “if”, then it’s a conditional. 1) We know the relevant laws of astrophysics. 3) Thus, we can predict what kinds of astrophysical systems are possible. 4) Scientific theories (including their predictions) that comply with 1) and 2) continue to be tested, can fail, some actually have failed. I was parodying your position….wink…. in 1800, for stars, yes. So, back to your conditional – is it a function of time then? Big wink. Aaaand I’m out. The Sydney sun has long since set. OK, just one more step. If they had had a working model of stars, they could have concluded that they probably – though not certainly – knew most of the relevant physics. But in 1800, they didn’t have a theory of stars that was well tested against observations, and so could not have affirmed the first part of my conditional. Since our knowledge is a function of time, whether or not the antecedent of the conditional is true is a function of time. Did it occur to you that the 1800 physicists were as certain of their theories as you are of yours? And that future physicists would qualify yours with the same assuredness as you did for those of the 1800 physicists? The truth of the antecedent depends not only on the time the theory was current, it depends also on the time of the people making the evaluations! Year 1800 physicists think 1800 theories are true. Not necessarily 2015 physicist (about 1800 theories). The question is not degree of certainty but rather degree of warrant. 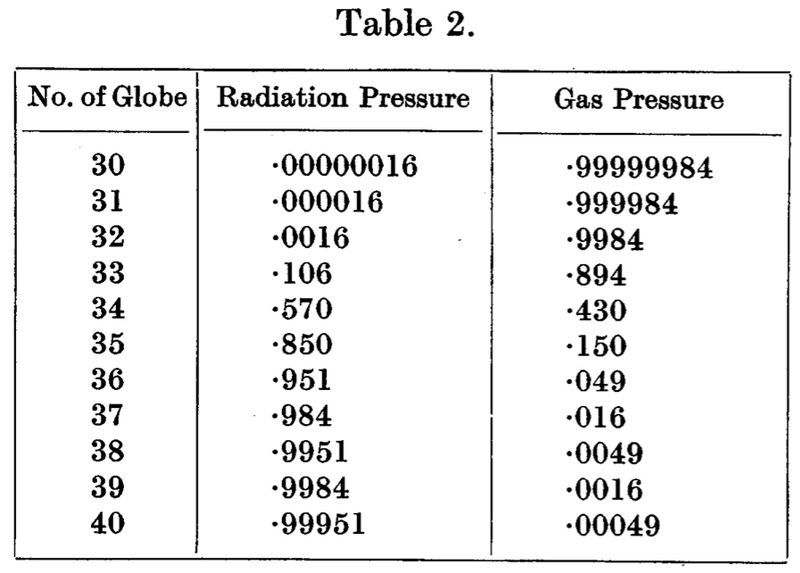 Year 1800 physicists did not understand atoms, molecules, chemistry, light, stars, etc. They did not know why stars shine, why solids are solid, why chemicals react, whether matter is made of atoms. We have successful theories for all the phenomena relevant to the claims I made above. Remember: the question is not – are my theories infallible? The question of the original post (if you can scroll back that far) was: could an underwater physicist reasonably (not infallibly) infer the *possibility* of stars? To answer “no” is to deny that physical theories can ever be predictive. I wonder what the initials “BS” stand for. For things like: We know the relevant laws until we discover that they aren’t.